With Apple’s Worldwide Developers Conference just around the corner, the tech industry—and, dare we say, the world—is once again on tenterhooks over what Apple CEO Steve Jobs will show off when he takes the stage. Unusually, however, it seems that this year’s keynote may have less of an element of surprise than in past years. Still, you never know when Steve Jobs might pull a rabbit out of his turtleneck—as uncomfortable as that sounds—so don’t forget to tune into our live coverage on Monday, June 7 at 10 a.m. Pacific. Apple has introduced a new version of the iPhone OS—and a new iPhone—every summer for the last three years. This year appears to be no exception: Apple already spilled the details on iPhone OS 4.0 at a special event in April. The Apple CEO, who anchored the event, said that the new operating system would make its way to iPhones “this summer” and to iPads in the fall. Multitasking is the most prominent new feature of iPhone OS 4.0, which is also probably the most welcome since 3.0’s addition of cut and paste. Double-clicking the iPhone’s Home button will now slide the screen up to reveal a list of all currently running applications, allowing users to quickly jump back and forth. During the presentation, Apple executive Scott Forstall also ran down the seven areas in which Apple would actually allow applications to run in the background: audio playback, voice over IP, location services, the existing push notifications, local notifications, task completion, and fast app switching. Forstall claimed these cases would address the vast majority of apps requiring background support and, since they’re built into the OS, Apple can make sure there’s no adverse effect on battery life or performance. iPhone 4.0 will also bring the ability for users to group their apps into folders, customizable wallpaper, an overhauled Mail application, and add the iPad’s iBooks app—complete with iBookstore. The company also dished on new enterprise features such as support for encrypting e-mails and attachments, the ability to have multiple Exchange accounts, and support for Microsoft Exchange 2010. Developers weren’t given short shrift either, with two major bullet points devoted to behind-the-scenes features. The first was Game Center, Apple’s answer to gaming networks like Microsoft’s Xbox Live or Sony’s PlayStation Network. It allows game developers to easily add support for things like buddy lists, online matchmaking, leaderboards and more. It also competes with similar established offerings on the iPhone and iPad, such as OpenFeint. In the long term, however, the more important feature for developers may be iAd, Apple’s new mobile advertising system. Rising from the ashes of ad firm Quattro Wireless, which Apple purchased last year, iAd allows developers to easily integrate ads into their applications. During the presentation, Jobs dinged existing ads for being intrusive, taking you out of your application, and being on the whole poorly designed. iAd, which will be based on HTML5 technologies, will allow for video and interactive elements without yanking the user out of their app, and they’ll be designed by Apple. These won’t be the only features in iPhone 4.0, of course. Apple said the new version would add 100 new features, some of which were displayed on a slide behind Jobs at one point, including spellcheck, Bluetooth keyboard support, tap-to-focus video, 5x digital zoom, and others. Some of these features, such as keyboard support and spellcheck, already exist in the iPad’s iPhone OS 3.2, so iPhone 4.0 may bring parity between the two devices. iPhone OS 4.0 may be a lock, but what about new hardware along with it? As with iPhone OS versions, Apple has released a new iteration of the iPhone hardware every summer since the original model’s introduction in June 2007. While the yearly product refresh has been considered an open secret in the past, this year the emphasis was decidedly on the open part after April saw a prototype iPhone surface in a Silicon Valley-area bar. Eventually ending up in the hands of tech blog Gizmodo, the prototype was subjected to intense scrutiny and even dissection as arguments waged over whether or not it was the genuine article. In the end, it turned out that the device was a real prototype, as Apple demanded the phone returned and a criminal investigation ensued. That said, it’s yet to be determined whether or not the device we saw is an actual product or an unfinished prototype. 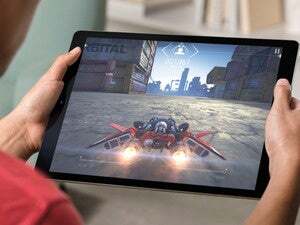 If it turns out to be a device that gets announced next week, we know much of what to expect: a faster processor based on the same Apple A4 chip that powers the iPad, 802.11n wireless networking, a high-resolution screen, a camera flash, and a front-facing video camera that hints at video-calling features. The unit also boasts a different design from its predecessors, with a flat back, aluminum bezel around the edge, and redesigned volume buttons. The iPhone kerfuffle has raised questions about whether there will be any surprises left for the WWDC keynote. But given that the prototype that Gizmodo acquired wouldn’t actually boot, there are still unanswered details about what other new features the phone might have and how they might work. Not to mention, at this point, we’re dying to see if Jobs will make any mention of affair while onstage. If you’re expecting news on the Mac OS during WWDC, you’d be wise not to place a huge bet. While Apple’s desktop OS may make a cameo appearance, it’s unlikely that it will get much air time. Apple even decided to do away with the Mac applications category for its annual Apple Design Awards this year, a move that roused ire from many developers. Likewise, though the iPad is apparently the greatest thing since sliced bread, don’t expect Apple to spend much time on it other than touting what the device has already achieved. As it’s only been out for two months, it’s not as if there’s a new version on the horizon, and Apple’s already said that iPhone OS 4.0 won’t be available for the device until the fall. A smaller OS update is still possible, however. There are a number of other topics that could conceivably be mentioned during the Jobs keynote, though some would be better suited for another time and place: a rumored Apple TV upgrade or iTunes streaming seem more likely to be discussed at the company’s annual fall music event. Both the Mac Pro and the Mac mini are rumored for upgrades, as is Apple’s MobileMe service, which is currently testing a revamped beta version of its Webmail. Any of those could make an appearance during the keynote. And, of course, there’s always Steve Jobs’s trademark “one more thing” which could herald any number of unexpected announcements. That said, even if nothing at the event truly surprises, a new iPhone and iPhone OS will bring much appreciated improvements to Apple’s existing product lines, and that’s nothing to sneeze at.